CMP Products has been a client of ours for some time now, and recently we’ve launched an international site for their Chinese market. As leading specialists in the manufacture of cable glands, cable cleats and associated accessories, CMP’s products are used worldwide. The Chinese website still needed to be quite similar in design and functionality to the UK version, so we decided that the best way to tackle this development-wise was to create and build a parent and child theme. This meant re-building the existing theme first on the UK site to create the parent, then using this to generate a child theme for the Chinese site. Working this way was not only best practice from a development point of view, but also ensured that any future updates could be managed through quicker and easier. It also meant that this theme could be rolled out for any other international sites that CMP might want to launch. As talented as our developers are, it may come as a surprise that none of them are fluent in Chinese! 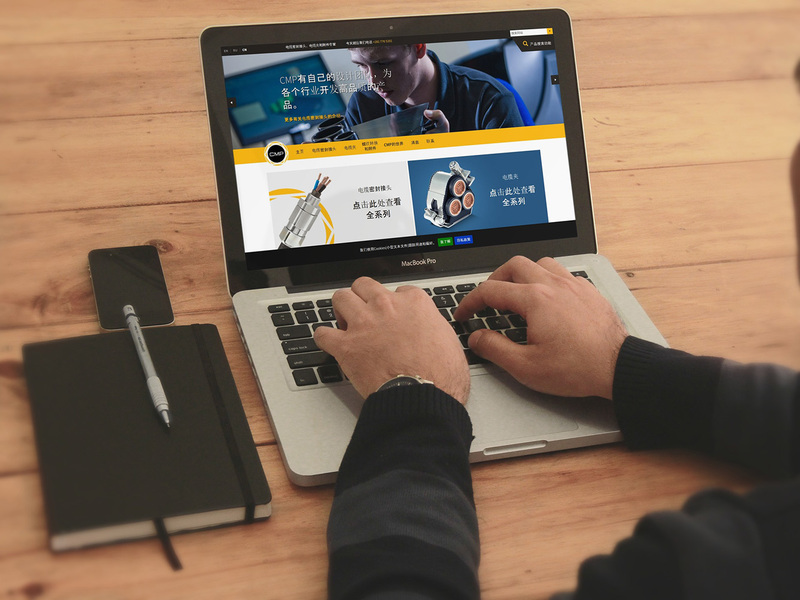 So we did need a little help with the language aspect of the site from CMP’s Shanghai team. We also worked closely alongside translation company The Translation People, who helped us massively in ensuring the language was efficiently translated and coded for Chinese. This entailed setting up a project on our preferred project management tool, Basecamp. Including contacts from CMP, the Translation People and the developers and account managers working on this project meant that everyone had visibility and could liaise in one central area. We believe this is very effective and productive for larger projects and works great with some of our clients. Once we were happy that the site followed brief and adhered to its core purpose, it was set up on a dev site. This serves as a fully functioning version of the site which we can share with the client for final testing. After that, it was just a matter of putting everything live. Working together with the marketing team at CMP Products and the Translation People to create and launch a fully translate site is something we’re all very proud of and showcases our ability to work efficiently across all things digital. “The benefit of working with UR was that the business really understood what we were trying to achieve. Making the recommendations of the parent and child theme was great to make it easier to manage the sites and translation going forward. You can check out the Chinese CMP site here. If you’re looking to set-up an international site for your business then please feel free to get in touch. We’d love to talk you through our process!